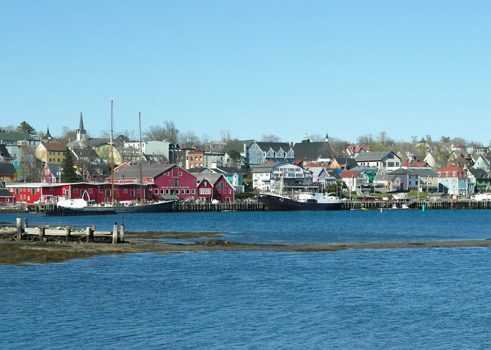 Located 90 km southwest of Halifax, Lunenburg was a flourishing center of the fishing and shipbuilding industries in Nova Scotia and is one of Canada's oldest settlements. In 1749, it was home to almost 50 francophone Acadians, and it was called “Merliquesche” until the British government started recruiting settlers from Europe in order to strengthen their position relative to the French in the maritime region. Among these settlers were immigrants from German-speaking areas. When the majority of these immigrants arrived in Canada in 1751, some of the so-called “Foreign Protestants” settled in the northern part of Halifax (then a fortified city), while another group of 1453 immigrants went on to Lunenburg. There, they were provided with both farming acreage and a plot of land in the town, which needed to be further developed to demonstrate the presence of the British government. The new arrivals primarily came from the southwestern regions of Germany (Württemberg and the Palatinate), the French principality Montbéliard, and Switzerland, and had none of the necessary knowledge to living life in coastal regions. However, with hard work and the inventiveness of the city founder Luc Rechenbach, the village quickly developed into a busy port town. By the second generation, the community was full of experienced fishers, sailors, and ship builders, which still influences the culture and economy of the area to this day. Over time, immigrants from almost exclusively Germany arrived in the region with the hope of cheap farmland or to practice and preserve their different religious lifestyles. Eventually, the city was renamed from Merliquesche to Lunenburg (in reference to Lüneburg), and the German language and traditions are still evident in recipes, festivals, and new immigrants. In 2001, the province of Nova Scotia declared June 7th to be “German Settlers Day” in recognition of German cultural heritage and its notable influence on the development of Canadian cities. 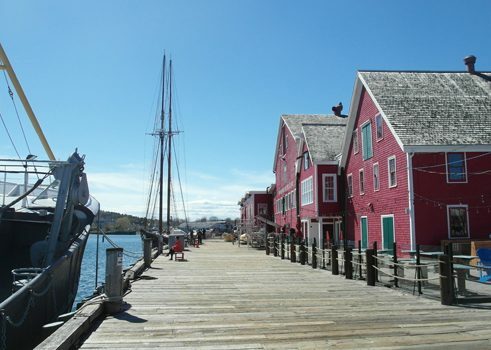 Lunenburg is the best example of one of the British government's planned colonial cities, and in 1995 Lunenburg was named a UNESCO World Heritage Site due to both its diverse wood architecture typical of the region and the city's well-preserved townscape. Planners in London conceived of the city’s network of streets without regard for local topography, so the design, which was laid out on a grid, led to parallel but dangerously steep streets. The majority of the shipbuilders’ wooden houses demonstrate high-grade artisanal skills, and tourists from all over the world love taking photos of the colourful Old Town. Those interested in Lunenburg’s shipbuilding tradition can also take a tour on the sailing ship Bluenose II. It is a copy of the famous sailboat Bluenose, which set sail from the shipyard Smith & Rhuland on March 26th, 1921, and is distinguished by its excellent sailing properties.